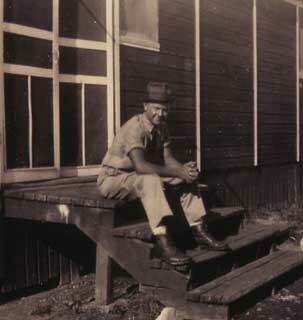 R. John Buskowiak, like many young men, saw opportunity and adventure in the Civilian Conservation Corps. Eager to enroll, John fibbed about his age. He was accepted, and sent to the Plainview CCC Camp #2709. He recounted his adventures in his memoir, "My Days in the C.C.C.'s." I had just finished my Junior year in High School, the summer of 1938. I and a friend of mine in high school decided to do something exciting for the summer. We were both just 16 years old. We vowed we would join the C.C.C.'s. The minimum age was 17 but we would tell them we were 17 years of age. We knew we had to enroll for six months at a time and school would start in 3 months and I know both of us wanted to finish High School but that was a problem we would solve when we got there. We found out that enrollment was taking place at Rochester, Minnesota. We caught a ride with someone I remember and I don't recall who it was. Anyway we got signed up for the C.C.C. 's telling them we were 17 years of age. We had our physicals the same day and were taken to Plainview, Minnesota dear old Camp 2709 late in the afternoon. I remember they gave us supper and after we ate the new enrollees had to go to the supply depot to get our sheets, pillow case and army blanket. It was too late to supply us with the other clothes. 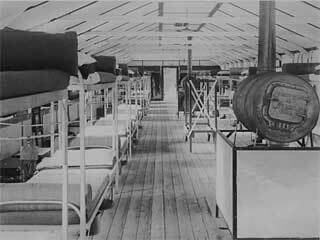 They took us back to the barracks and they showed us how to make our beds. The sheets had to be folded just so and the blanket had to be as tight as a ribbon. They told us this is the way the beds are to be made every morning. If they were not the inspection team would rip up the bed and stand there as long as it took until the bed was made correctly. The next day we were issued our other clothes. Two new pairs of heavy army shoes, two sun tan shirts for summer, two pair of sun tan trousers, two pair of denim work trousers and two work shirts along with a denim cap for work. The next two days all of us had to have our shots, diphtheria, smallpox and etc. I remember I was so sick for a couple of days I didn't care if I ate or died. John Buskowiak near barracks, CCC Camp 2709, Plainview, ca. 1938. 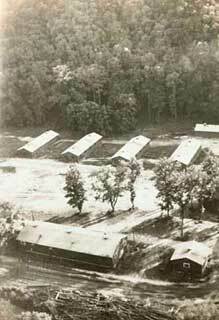 Civilian Conservation Corps Camp, Plainview(? ), 1940. 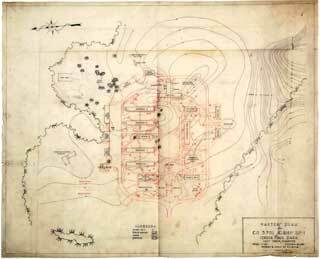 Master plan for CCC Company 3701, Camp Sp-1, Itasca State Park. 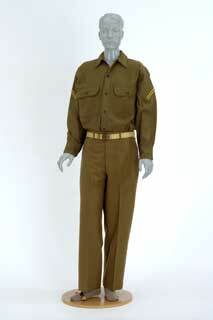 Sun tan CCC enrollee's uniform. Photo: CCC camp interior, probably Company 707, Deer River, 1936. 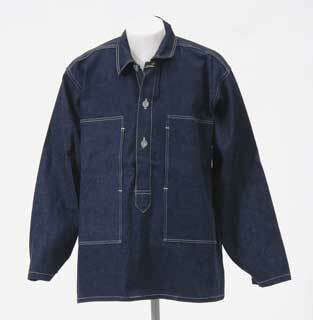 Photo: CCC enrollee's denim work shirt.